I have attended certification classed for over 20 years. This was one of the most helpful and the information learned was put to use almost immediately. The web based training and certification is the best thing since apple pie. The information is very informative. 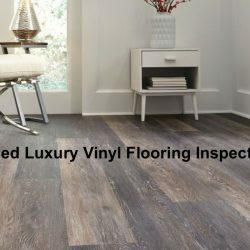 It supplies all the information of how to inspect a floor for the novice and is a great refresher course for an experienced inspector. My inspection career began in 2002. Since that time I have attended a minimum of 1 class a year. By far the best training I have received is from IFCI. The hands-on training received here makes you feel prepared to do the job. 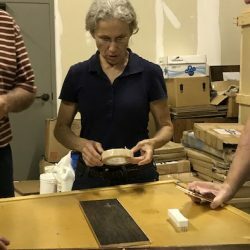 Even after 43 years in the hard surface flooring industry, I learned a few very helpful things taking the online Luxury Vinyl class. The tutorial is very well organized, informative and comprehensive. I would recommend this for “newbies” as well as experienced folks like myself. The online class was beneficial and informative. It was presented in a professional format and was easy to navigate. I look forward to more online classes from IFCI. Great Course! The hands on instruction of field tests was excellent. The peer-to-peer mentoring program is an added value.Re: IFCI Training Documents Thank you so much. You have created a definitive training manual here! I appreciate it and am sure it will be very helpful to experienced inspectors and well as new ones.